The V&A is having an exhibition on digital design. This mostly interactive exhibition explores how digital technologies have added new depths to the works of artists and designers. At an exhibition like this, the lines are blurred between the artist, creator and participant. This exhibition was fantastic for engaging its audience by participation and interaction. 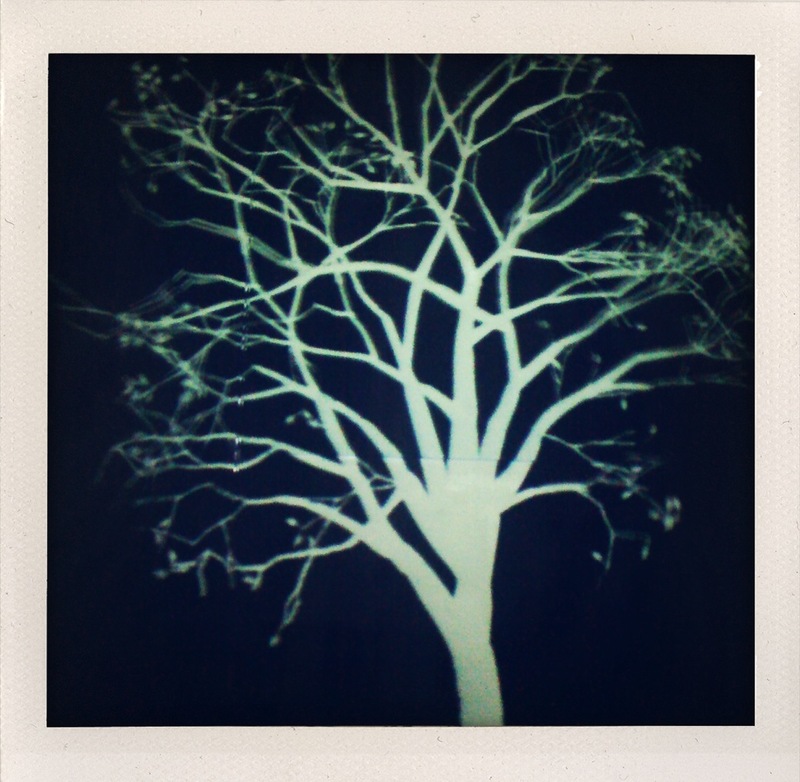 The tree above is part of the exhibition and is by experimental videomaker and media artist Simon Heijdens. Here he explores the relationship between nature and technology. The movements in the tree are directly linked to how windy it is outside the museum. On a less subtle note, we saw children going wild, recording themselves being silly on a video camera for Ross Phillips‘ Videogrid. 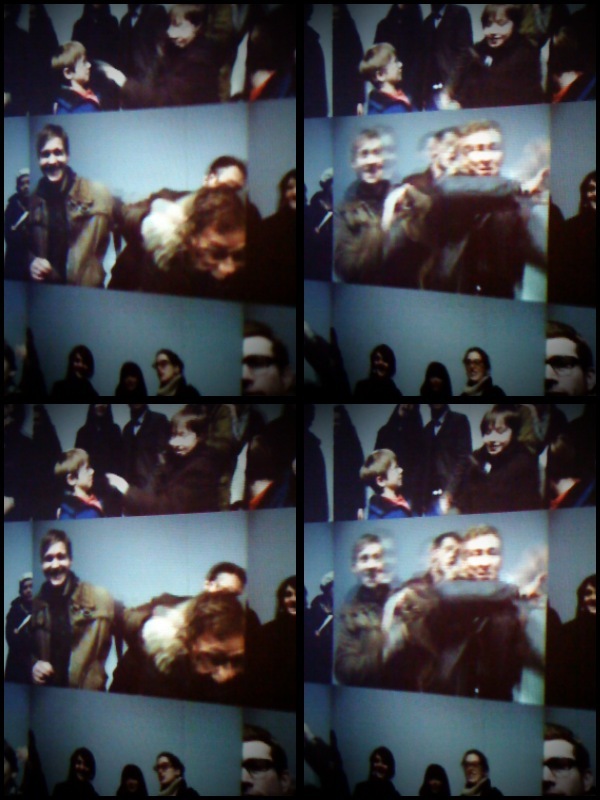 The result was a collage of mini videos of people who collectively let go of their inhibitions and acted silly for the camera for art’s sake. 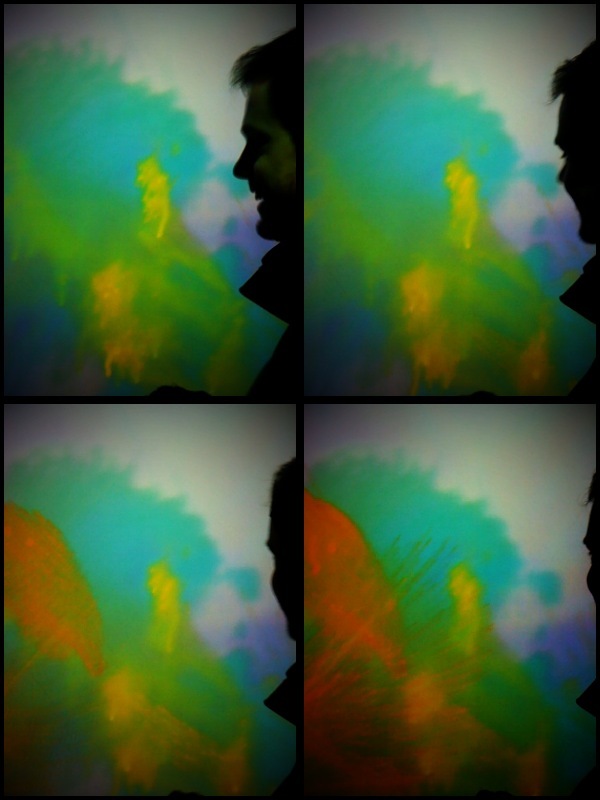 The interactive section was the strongest in the exhibition. In this section, we got to move sand around to create new worlds of existence in Oasis by Everyware. 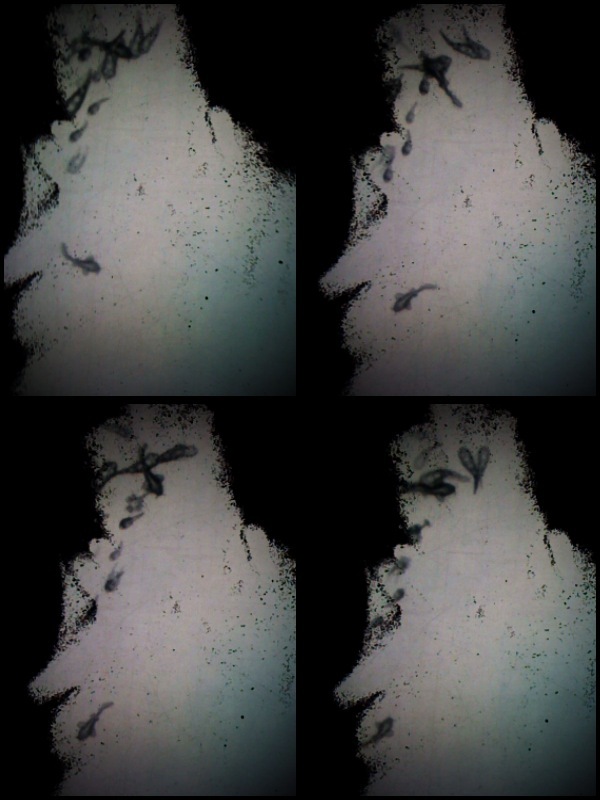 But it was with Body Paint that we let loose and brought out the Jackson Pollock in us through crazy dance moves. 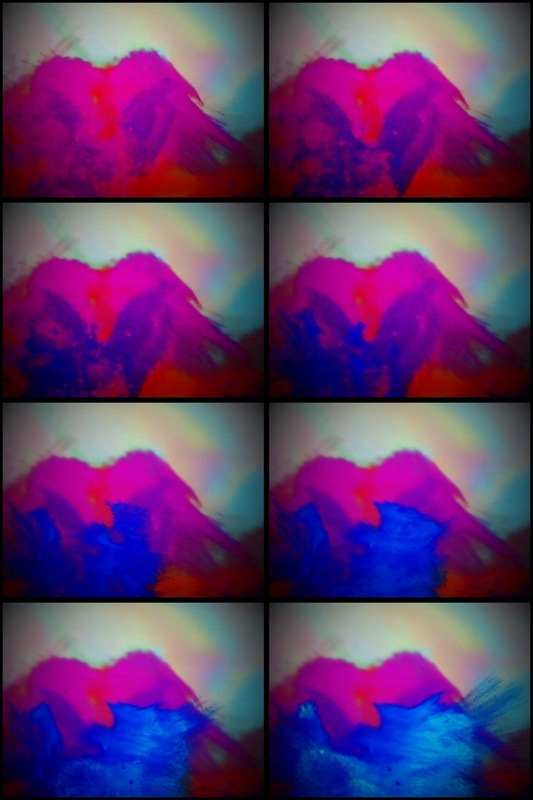 The result was vibrant colours that reminded me of being in the Architects of Air tents. It felt appropriate that I was running around this exhibition on digital design with one of my favourite applications -the QuadCamera. 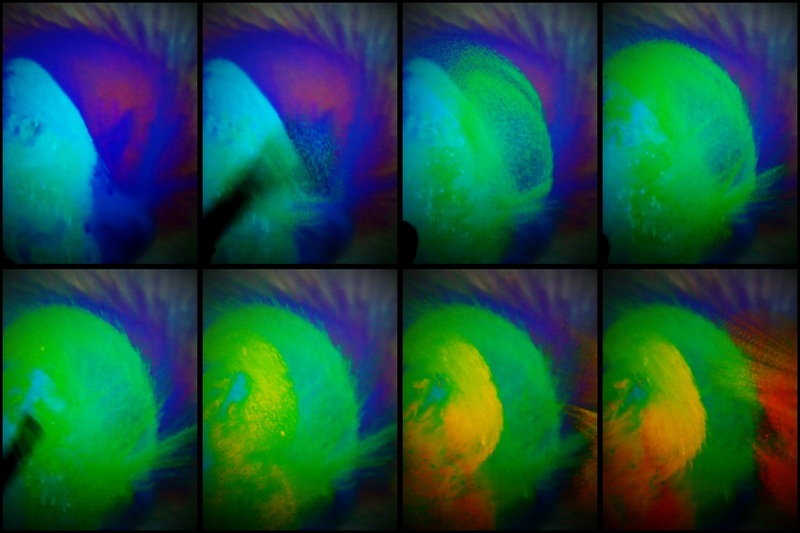 Like an action camera, it allows you to take photographs in quick succession. Time Out is having a 2-4-1 special for this exhibition. The voucher is available here. The exhibition is on until 11 April 2010 and I highly recommend it. I’m starting to feel like I am permanently trapped in a snow globe. Whilst it has been very pretty and I quite like the stillness and silence of winter, it has been very nippy. This winter, it has become apparent to me that my wardrobe is lacking in winter warmers. I need to get myself wrapped up and I want to be wrapped up in the best winter accessories. I keep thinking about my lost hat. It was a beanie with a headphone knit pattern. I don’t know how I lost it, but as with most winter accessories, they have a tendency to break away from you. Which is why mittens on a string are such a fantastic idea! I recently wrote about Yokoo and her amazing winter accessories. Today I’d like to share some other winter warmers that I have my heart set on. 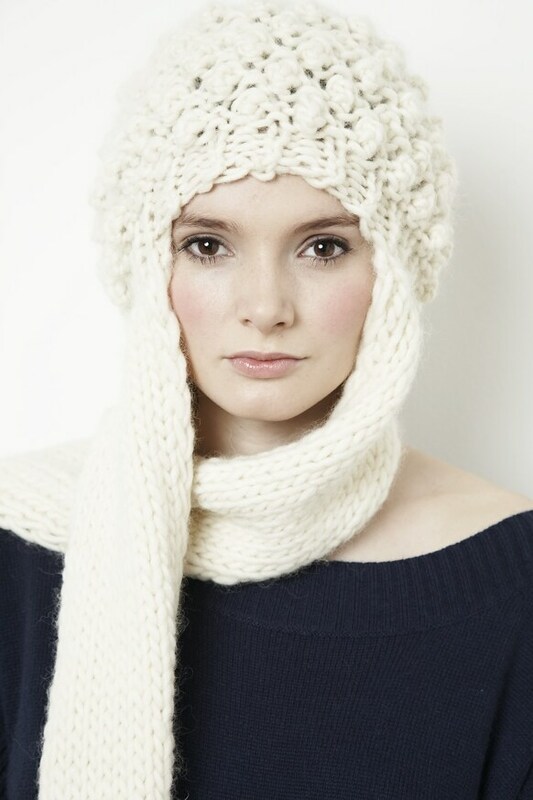 I am waiting to get Elizabeth Lau‘s handknitted Kiev hat and scarf hybrid on my head. What a clever design! Which reminds me of this possible replacement to my headphone beanie. Are these earmuffs? Or headphones? Well my friend, they are earphones disguised as earmuffs. And they are also on sale at the moment at Urban Outfitters and available in black or white. If you want your winter accessories to have only one function, then here are some of the cutest scarves out in shops at the moment. 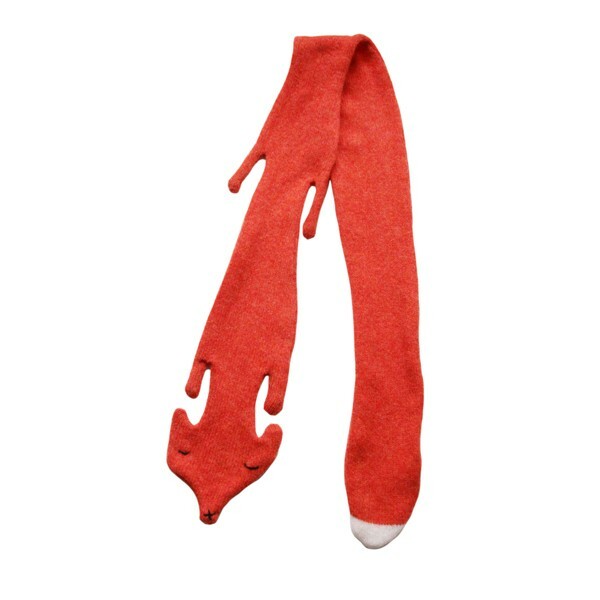 Donna Wilson‘s little fox scarf comes in grey too. If you can’t get enough of the fox, she also has the cutest fox cushion. 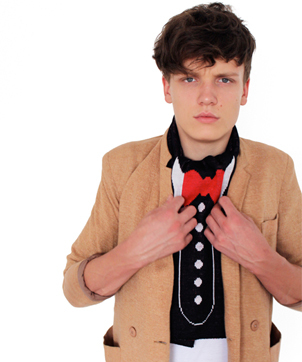 If that’s too cute for your taste, I also like Lazy Oaf’s Tuxedo Scarf. How cool is this little number? Perfect for last minute black tie events! Even if these don’t fight the baltic temperatures the cool little designs will certainly warm the heart and put a big smile on your face. Anyone know where I can get a Rupert the Bear jumper? There used to be knitting patterns on ebay that were available for sale but I’ve not had much luck today.